Lahore – Indonesian Ambassador has shown keen interest to import Halal meat & citrus from Pakistan instead of Australia and other Non-Muslim countries. 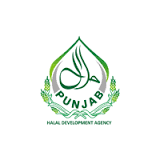 To resolve the matters regarding meat business, Indonesian Ambassador Lwan Suyudhie Amri along with his delegates visited Punjab Halal Development Agency (PHDA) office. He further said that Indonesia Embassy will try to breech all the missing links in this regard, and they will also arrange business to business meetings with relevant stakeholders. He also invited Pakistani meat and Citrus business entities to visit Indonesia to attend an Expo to be held in October this year where they will officially organize business meetings with relevant stakeholders. While talking to the delegation headed by the Indonesia Ambassador, Chairman PHDA Justice Khalil-u-Rehman Khan said that Indonesia is our Muslim brother country and it is matter of proud for us to facilitate him in all fields, he further said that Indonesia may share their meat standards with us and we will provide standards compliant meat to them. Kinnow export was also discussed in the meeting and Ambassador was agreed to discuss with the relevant stakeholder to increase the volume of kinnow import form Pakistan uninterrupted. While talking on the occasion, Agro Livestock expert & Executive Member, PHDA, Dr Hamid Jalil said that Pakistan has quality and abundant meat and citrus to export to Indonesia, so they should start immediate Halal meat trade with Pakistan. He further said that Pakistan is importing palm oil worth more than 2 billion USD from Indonesia but Indonesia is importing form Pakistan less than half million USD, and if Indonesia imports Halal meat form Pakistan then both countries will be in balance position and strategic relations among both countries will be more strengthen, he added. Both sides also appointed liaison persons to accelerate the procedures.